Deanna Ford is passionate about personal expression of all kinds. She is an author and an award-winning speaker and musician. Deanna loves helping others find their unique voice so they, too, can communicate about topics they feel are important. 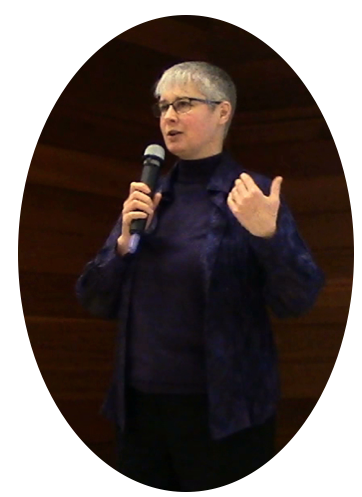 She shares knowledge, skills and strategies she’s gained from over 30 years of experience in preparing for and stepping out in front of hundreds of audiences as both a speaker and a musician in very diverse situations. Deanna is driven to help people develop their skills of expression and believes everyone can transform into someone who can comfortably speak in front of others. She wishes to help create a world where respect exists between all people and for the natural environment. She believes that skills in respectful communication are critical to this success and she wants to help all who work to make a difference in the lives of others. "It was a great presentation filled with wonderful knowledge for all types of speeches." Deanna shares experience, strategies and ideas from her very diverse background!